A couple of days ago, on Facebook, a member asked what NZNO were actually going to do about the changes to employment law, apart from posting stuff on Facebook. Well, good question. The short answer is lots! The long answer is… longer – I’ll make a start here and see how far I get today. The first thing I want to stress is that NZNO is its members. We are a member-run organisation. That means staff are essentially employed by members, through their membership fees. 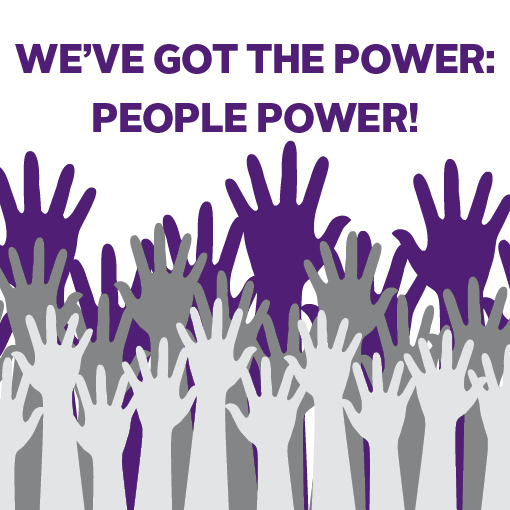 The strength of our organisation comes entirely from how many members there are, and how willing those members are to get involved in the work of the organisation. Thousands of NZNO members are workplace delegates, thousands belong to Colleges and Sections. Thousands are active sharing information and having discussion about our issues on social media. Many inform themselves and their colleagues by reading our monthly publication Kai Tiaki Nursing NZ. We have a Board of Directors and a Rūnanga elected by NZNO members. You can be as involved as you want to be. NZNO is as strong as its membership. So – the next bit of the answer is about the changes to employment law. They are wide ranging changes that have been touted by the Government as fair, reasonable and just “tweaking” things. If only! These changes have the potential to drive wages down, increase poverty and tip the balance of power between workers and employers firmly into employers’ hands. We have been fighting these changes for a long time. In 2013 over a thousand NZNO members wrote submissions against the Employment Relations Amendment Bill to the Transport and Industrial Relations Select Committee. Over 10,000 submissions were received by the committee. I can’t remember the exact numbers but something like 98% of the submissions received were against the changes being proposed. The Government didn’t have the numbers to pass the legislation last year, but it was first on their agenda after the Election. We have been working hard along with the Council of Trade Unions and other health unions over the last 18 months to mitigate some of the worst changes of this new employment legislation. This means that new employees who are not union members will not be covered by the collective agreement even if their job comes within the coverage clause. Until last week, new employees were covered by the collective agreement in their workplace for the first 30 days. This protection is now stripped away so a new employee can be they can be paid less than the collective agreement right from the start. Over time this will reduce everyone’s pay and conditions. Employers will be able to opt out of multi-employer collective agreement (MECA) bargaining. An employer who seeks to opt out of MECA bargaining must give written notice to all intended parties to the bargaining within ten days of receiving the initiation notice. This could dismantle MECAs that have brought steady improvements in pay and conditions for NZNO members over the years. It is no longer a breach of the duty of good faith to fail to enter into a collective agreement. Here are a few examples of what we have been doing and will continue to do to address these attacks on workers fundamental employment rights. We have been implementing our strategy to address both the 30 days and the conclusion of bargaining issues with new clauses in our collective agreement bargaining over the last 12 months and this work is ongoing as collective agreements reach the end of their terms. We have been including in bargaining clauses to address the issues around conclusion of bargaining. We will be back around the computer making sure initiation of bargaining for collective agreements is undertaken at the soonest opportunity and that conversations happen with employers around this matter to ensure coverage of collective agreements remains as it is currently. Our sector groups (DHB, Aged care, Primary health and Private hospitals and hospices) have been identifying strategies for each particular sector. We have developed resources for organisers to discuss with delegate the process for new employees. We have been able to initiate all our MECA bargaining prior to the Act coming into force and maintaining collaborative relationships with as many employers as possible to secure our future MECAs and national collective agreements. We have been participating in conversations with the CTU around the Code of Good Faith. We have been educating our delegates and members through the Bad Medicine Campaign, delegate training and other processes. We are strong, growing and ready for the future. We need to maintain the upmost vigilance with our employers who we have collective agreements with – we have learnt from the 1990s that our aged care employers pose the greatest risk in this type of industrial relations environment. We have been here before and thrived. Kia kaha. We will build power through our unity. Talk to your NZNO delegate or organiser if you’d like to become more involved. Tags: advocacy, Bad medicine, collective action, collective agreements, Employment law, Employment Relations Act, ERA, NZNO | Permalink.